How Can I Help My Aging Parents? - Harrison White, P.C. 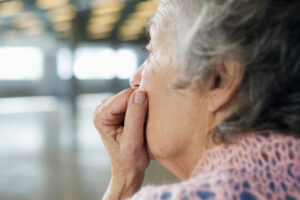 Home » Nursing Home Negligence » How Can I Help My Aging Parents? Aging is a fact of life we all face. As our parents grow older, there may come a point at which providing the care and attention they require (perhaps even around the clock) makes placement in an Assisted Living or Skilled Nursing Facility necessary. When this time comes for your family, there are some things to consider that will give your parent the best chance at a comfortable outcome. Talk to your parent’s physician to be sure your parent is going to a facility that is equipped to meet your parent’s needs. There are many facilities available that people commonly lump together as “nursing homes.” However, there are differences among various facilities in terms of the level of care they provide. For example, an Assisted Living Facility generally provides living arrangements for more independent residents, while also offering some lower-level medical services, social opportunities, etc. On the other hand, a Skilled Nursing Facility provides around-the-clock medical services for residents who are dependent on others for their care by virtue of their physical or mental issues. Research the facility you choose. Try to do some research into several facilities before choosing one for your parent. This can be done by looking up the facility on the internet, where you can not only review the facilities own website, but can also see numerous websites identifying any issues/complaints against the facility, access reviews from residents or from those with loved ones in that facility, etc. Obviously, you will want to visit the facility and speak with the Administrator (and hopefully some key staff members). If possible, talk to people directly who have loved ones at the facility (or to residents themselves), and ask questions about their experiences. The point is to make as informed a decision as possible. Perhaps the most important thing you can do for your parent is to stay involved with them and their care. Visit often, but try to vary the times at which you visit to get a feel for who is around your parent at various times of the day. Get to know the staff and administrators, and ask them questions if something does not seem right to you. Be sure you attend any care planning conferences or other meetings the facility invites you to attend – significant decisions about how your parent will be treated at the facility are discussed at these meetings, and these are crucial opportunities to understand and participate in this process. Even when taking all due care to ensure things go smoothly for your parent, sometimes questions arise regarding incidents/accidents, injuries, or other outcomes that may occur while your parent is in one of these facilities. If this should ever be the case with your parent or loved one, you can always contact Harrison, White, Smith & Coggins, P.C., and talk to an experienced attorney who can advise you as to whether there may be any legal issues with which you should be concerned. There is no charge for these consultations, and often times talking this over with one of our attorneys can provide you with some direction and/or some much needed peace of mind in a difficult time.